This trolley is great for outside play and fun. Feel safe and secure while you and your pet play. Limits the running area and keeps your pet where you want him/her. 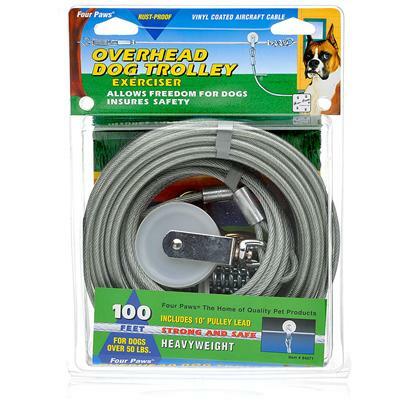 For dogs over 50lbs.